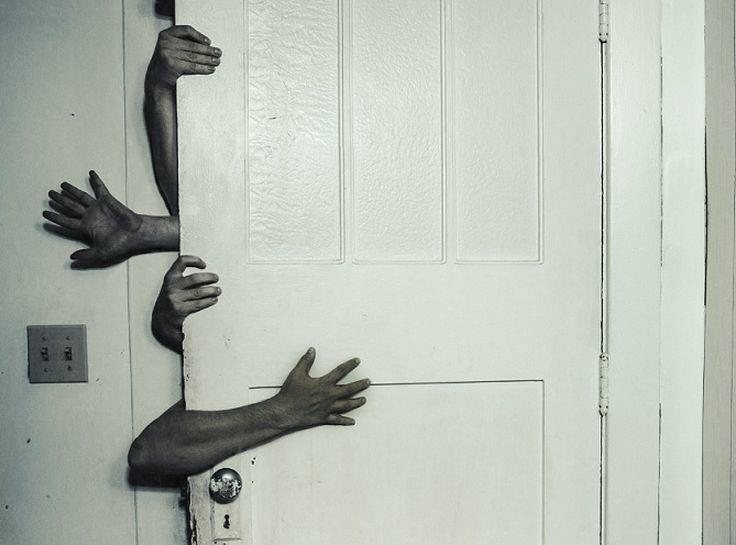 Prepare to be locked in a room with a zombie that is chained to the wall! Hidden in the room is a key that will unlock the door to freedom. Every 5 minutes the zombie's chain gets released another foot. Within an hour, the zombie will be able to reach you. Before that happens, you must find the clues, solve the puzzles, unlock the door, and escape the room! 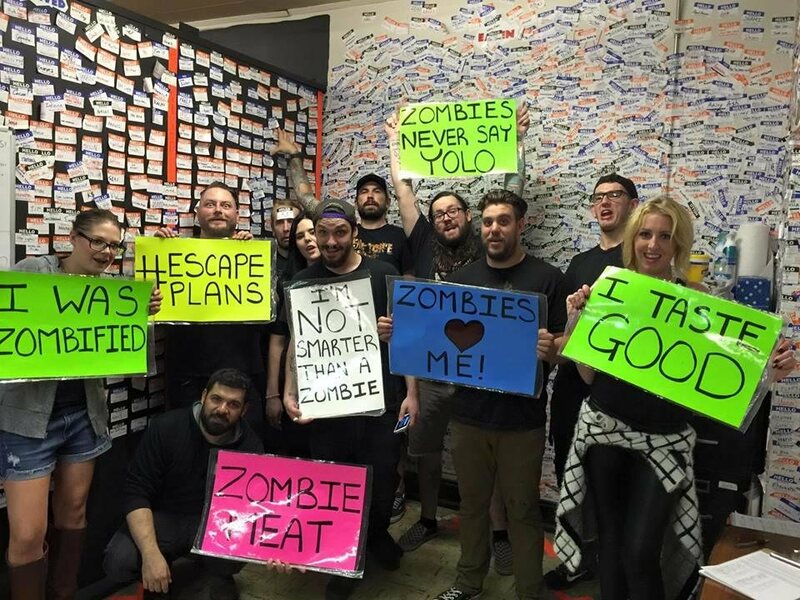 Are you smarter than a zombie? Find out! 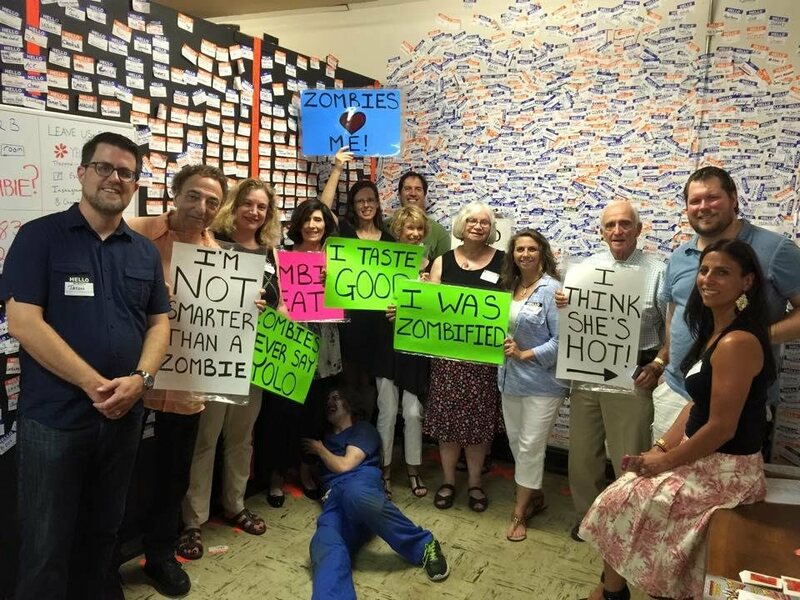 Trapped in a room with a Zombie combines the pressure of "Minute to Win It" and the sleuthing of a Sherlock Holmes mystery to create a pulse-pounding, team-building activity that will keep your mind racing and adrenaline flowing. Our interactive-theater sessions cast your group as the protagonists in an exciting plot that evolves differently based on personalities and past experiences. Bring some friends or co-workers and prepare to see a side of them you may not have seen before. This is a fun and exciting experience requiring physical movement. If you are afraid of the Zombie, just stay away from it. This show is not written to be scary, but it does pack ample amounts of adrenaline and laughter into 60 minutes.